Matt is a 23 year veteran of the adventure travel industry and has served in senior leadership positions for some of the top tour operators in the world. 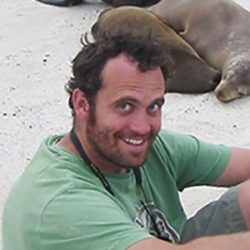 He currently serves as a marketing and business development consultant as well as the executive director of the International Galapagos Tour Operators Association, an association of travel companies, conservation organizations and other groups dedicated to the complete and lasting protection of the Galapagos Islands. He also works for Natural Selection, a Cape Town-based safari operator that operates luxury safari camps across Southern Africa and uses tourism as a tool to support conservation. Matt is motivated personally and professionally by the belief that travel at its best is not only one of life’s great pleasures but that it can be a positive and transformative force for good in the world. He was born and raised in Colorado and graduated from the University of Colorado, Boulder. Matt currently lives in Fort Collins, CO with his wife and two kids.